In a pressure cooker add a table spoon of olive oil. Upon heating add mustard seeds and cumin seeds, let them splutter. Add chopped onions, green chilies, bay leave and cloves. Fry well until the onions turn translucent. After 3 whistles take out from the flame.When the pressure is completely gone open the lid and serve it hot. I used yogurt with chat masala and salted cabbage and carrot stripes with white vinegar for side dishes. You can serve it with raitha and pickles too. Note: You can add tomatoes and other vegetables along with onion. Fried nuts can also be added to enhance the taste. Palak is one popular leafy vegetable used worldwide. 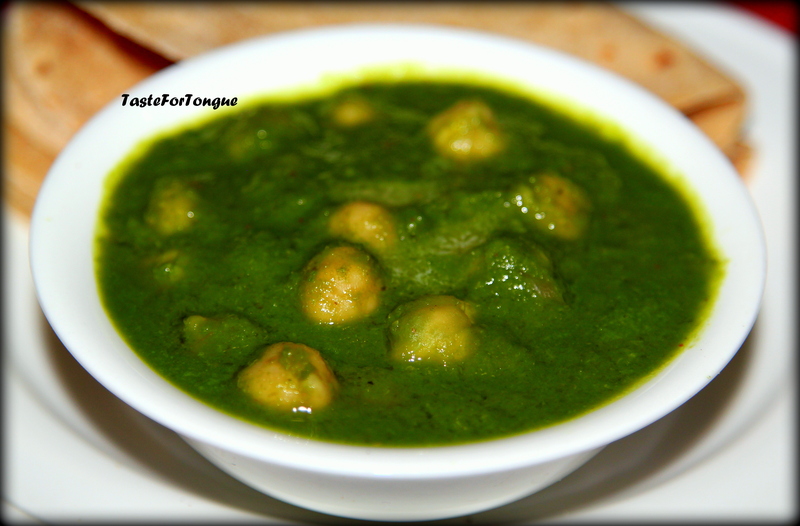 I usually prepare chutney, palak paneer, palak dal and aloo palak. But I prefer indian red spinach to palak. Today’s recipe is very simple, but can also be prepared by adding extras to give flavors. Sometimes I add tomatoes and sometimes mashed potatoes to give it a different flavor. Cook dal and mash it nicely. 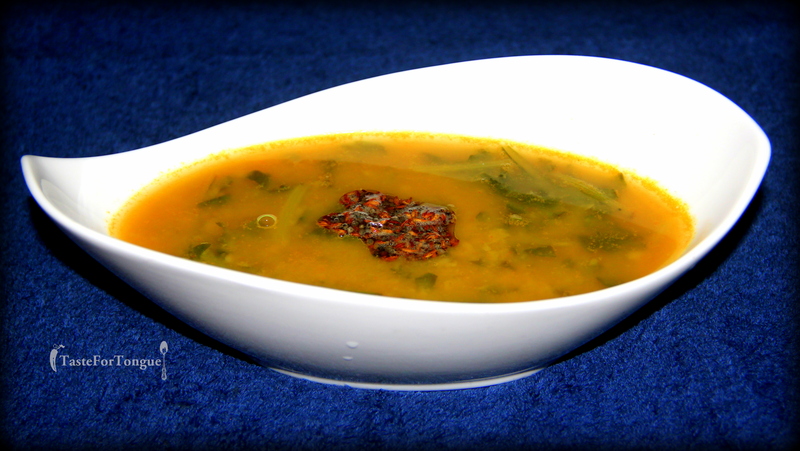 Add chopped palak to a deep pan and mix with cooked dal and let it cook. Add turmeric, green chillies and salt while it is cooking (if you are adding tomatoes or mashed potatoes you can add now, or if you want to add onions, fry and add). When palak is cooked in dal, tamper it with the ingredients mentioned above. 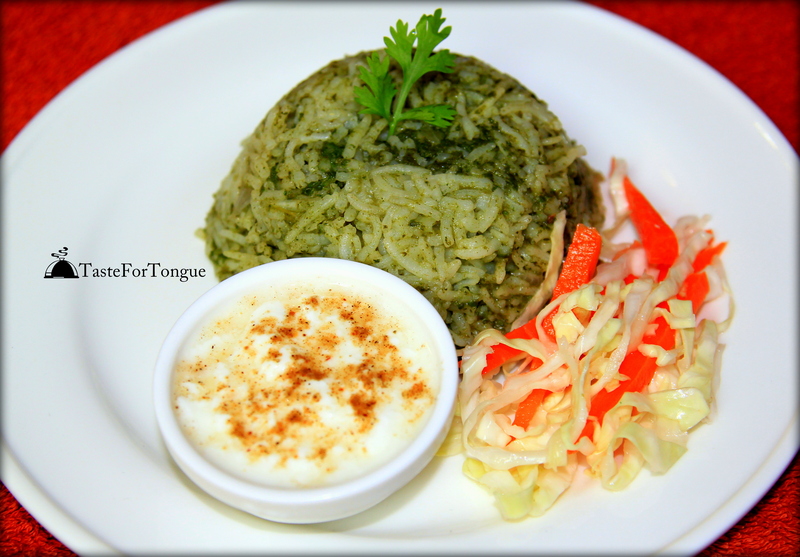 Now palak dal is ready to serve with piping hot rice.